Today, the Internet of Things has evolved due to an advanced interconnectivity of hardware devices equipped with sensors and actuators. Such connected environments are nowadays well-known as smart environments. Famous examples are smart homes, smart cities, and smart factories. Such environments should only be called “smart” if they allow monitoring and self-organization. However, this is a great challenge: (1) sensors have to be bound and sensor data have to be efficiently provisioned to enable monitoring of these environments, (2) situations have to be detected based on sensor data, and (3) based on the recognized situations, a reaction has to be triggered to enable self-organization, e.g., through notification delivery or the execution of workflows. In this article, we introduce SitOPT—an approach for situation recognition based on raw sensor data and automated handling of occurring situations through notification delivery or execution of situation-aware workflows. 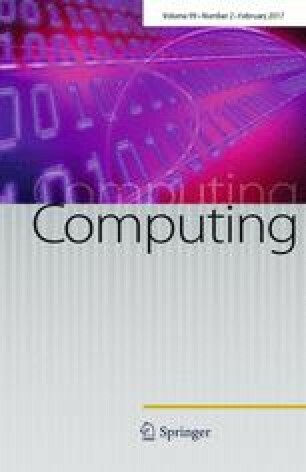 This article is an extended version of the paper “SitRS—Situation Recognition based on Modeling and Executing Situation Templates” presented at the 9th Symposium and Summer School of Service-oriented Computing 2015. This work is partially funded by the DFG project SitOPT (610872) and by the BMWi project SmartOrchestra (01MD16001F).